SEI is deeply saddened to have lost one of our most cherished staff members, Mildred Church Dandridge, who had been with SEI since its inception in 1997. 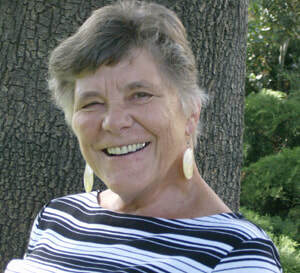 Mildred was fundamental to the forming of SEI and helped write one of the first SEI grants in 1999. She acted as SEI’s Education Program Director until 2007, working with countless schools and engaging youth in their communities. She worked diligently to build SEI programs, where she engaged elementary through high school students to be part of the climate solution. She taught high school students to assess small business energy use, developed a year-long suite of curriculum scaffolding climate instruction for 4th and 5th graders. She worked with countless districts to use their facilities as a teaching tool, helping reduce energy use in schools through student and staff behavior change. Though she “retired” in 2007, she still remained a member of the SEI team and ran our Building Operators Certification Program and helped launch The School of Environmental Leadership (SEL). Mildred wrote key curriculum for both SEI and The SEL and assisted in laying the foundation for curriculum to receive University of California A-G approval for The SEL, as well as obtaining college credit for the courses. Throughout these contributions, Mildred sought ways to help train young people to take a clearly defined environmental leadership role in their communities. To honor Mildred’s legacy, The SEL established the Mildred Church Dandridge Memorial Scholarship. This scholarship will be awarded each year to a SEL senior who exemplifies the joy, spirit, empathy, and selflessness that Mildred showed everyday, as well as their deep commitment to the environment. This scholarship goes toward furthering the recipient’s education at the college or university level. If you would like to support the Mildred Church Dandridge Memorial Scholarship, you can make a tax-deductible donation here. Cyane Dandridge is the Founder and Executive Director of Strategic Energy Innovations (SEI), as well as the School of the Environmental Leadership (SEL). Over her 30 plus years of experience, Cyane has seen the big picture of how communities lack access to energy efficiency services, clean technology, and real-world sustainability pathways. After receiving her M.S. in Building Technology from the Massachusetts Institute of Technology, Cyane utilized her entrepreneurship and knowledge of innovation in the built environment to bring climate solutions to the community level. By connecting students, residents, government officials, and the workforce in the design process of sustainability programs, she leads talented teams to identify and implement opportunities for varied communities to reach their goals. As a pioneer in the environmental sustainability field, Cyane continues to be excited about the potential for our communities and youth to create an environmentally responsible world, and is proud of SEI’s role in this valuable and necessary endeavor. While broadly supporting SEI programs and service offerings, Stephen’s primary focus is on sustainability initiatives in the higher education sector that include SEI’s Green Demonstration Program and serving on a California-wide implementation team for the Alliance to Save Energy's Green Campus Program. In addition, Stephen heads up SEI's efforts consulting on solar and other renewable energy options, with recent engagements that include the planning and launch of the Marin Community Foundation’s Climate Change Initiative, serving as an intervener on behalf of Stanford University for the design of the California Solar Initiative, and supporting the San Joaquin Valley Clean Energy Organization to launch its efforts to engage Valley communities. Stephen joined SEI with a master’s degree in Business Administration from St. Joseph’s University in Philadelphia, and an undergraduate business degree from Penn State University. Prior to SEI, Stephen worked to implement U.S. Department of Energy programs out of the Mid-Atlantic Regional Office, in support of energy sustainable communities and the market adoption for solar energy technologies across a 7-state region. Before this role, Stephen directed market research for a new ventures division of Exelon, a Fortune 500 energy company, after conducting similar work for a quantitative market research supplier that included public opinion polling for ABC News and The Washington Post. In 2004, Stephen was one of 30 Philadelphia-area associates selected to complete the Environmental Leadership Program's pilot regional training series for emerging environmental leaders. Stephen has studied abroad in Salamanca, Spain, in addition to a series of South American cities as a result of his interest in Spanish language and culture. Kerry Stanwyck serves as SEI’s Operations Director. Kerry directs business and finance operations for SEI, focusing on financial management, human resources, legal, finance and regulatory compliance, board of directors and staff processes, establishing operational protocol and internal controls. Kerry collaborates with the executive director on organizational management, fiscal planning, staffing, company policy. Kerry has over 25 years of experience in supervisory and managerial capacities, including fiscal management in the nonprofit sector, and assistant directing and production management for film and television. Lisa is the Operations Manager at SEI with a focus on program support to facilitate optimal operations. Lisa has a strong background in Environmental Activism in Marin County. Prior to joining the SEI team, Lisa was the founder and CEO of a successful errand and delivery company based in both Los Angeles County and the Bay Area. She holds a Bachelor's of Arts in English Literature from UCLA. Katy serves as Executive Assistant, supporting SEI’s day-to-day operations. ​Prior to joining SEI, Katy worked as a medical administrator and an architect. She holds a Bachelor of Arts in Architecture from UC Berkeley, earned a Sustainable Practices Certificate from Dominican University, and is a graduate of the Environmental Forum of Marin. Emily Courtney is the Director of the K-College education initiatives at Strategic Energy Innovations (SEI). At SEI she manages holistic school programs designed to make it easy and affordable to green school facilities while engaging students in energy conservation, education, and leadership. Emily has managed programs ranging from high school energy auditing internships to county-wide zero waste school initiatives. She has led curriculum development and teacher training in an array of sustainability fields, including solar design, green transportation, energy auditing, financial analysis for sustainability projects, climate change, and biomimicry. Emily has a background in environmental, job skills, and entrepreneurship education. Prior to joining SEI, she was the Director of Green Technology Education at Laney College in Oakland, CA. Her focus is serving individuals and communities at the dynamic intersection of our economic, ecological, and social justice goals. 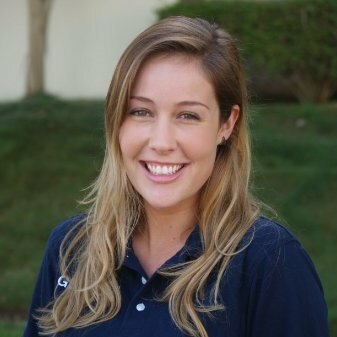 Emily holds an MBA in Sustainable Enterprise from the GreenMBA program at Dominican University and a BA from Whitman College. Tim is a Program Director primarily supporting the School of Environmental Leadership and K-College education initiatives at SEI. Tim leads the development of the SEL sustainability leadership 4-year program both in Marin and its expansion to other regions. Tim manages San Diego region high school programs designed to engage and empower students in green careers and leads the development and implementation of teacher trainings for SEI’s career technical year-long courses. 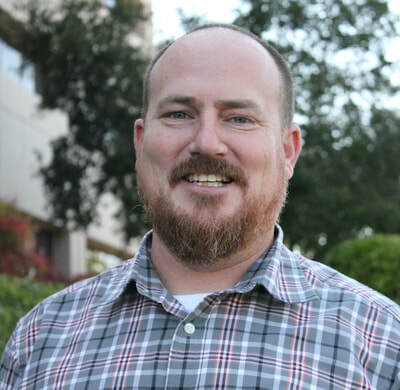 Before joining SEI, Tim was the lead CTE instructor for the Stanley E. Foster School of Engineering, Innovation and Design in San Diego teaching architectural, engineering, green technology and environmental sustainability project-based learning curricula and Project Lead The Way courses. He was an adjunct faculty for architecture courses at Cuyamaca College in San Diego and prior to teaching, Tim was an Associate Director of Design at architecture firms in San Diego. ​Tim holds a Bachelor’s Degree in Architecture from the University of Miami and California Teaching Credential for Engineering and Architecture. Nathan manages workforce development and public agency programs for SEI, including Climate Corps and the Sustainable Energy and Economic Development (SEED) Fund. In addition, Nathan oversees SEI’s sustainable housing programs. 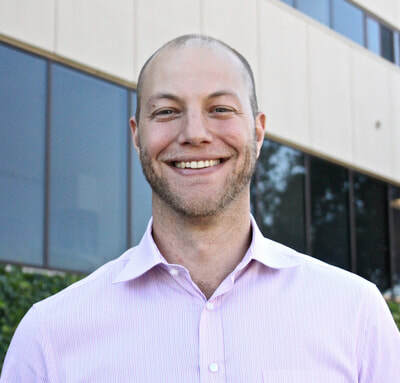 Prior to joining SEI, Nathan was an Assistant Researcher at Innovative Mobility Research where he conducted surveys, data analysis, and literature reviews on transit-oriented development innovations and best practices. 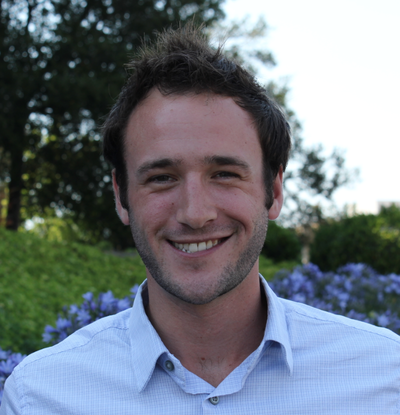 Nathan has a Bachelor of Science in Conservation and Resource Studies from University of California, Berkeley. Jake Pollack is a Program Manager at SEI. Jake’s primary focus is on higher education and workforce development. 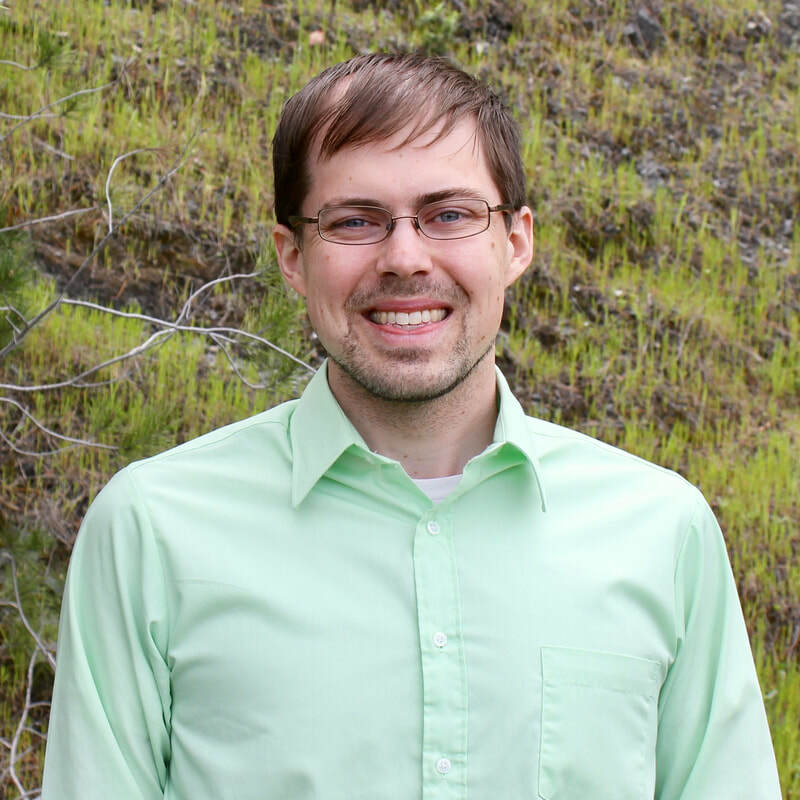 Before joining SEI, Jake worked at the University of Oregon running a professional certificate in Sustainability Leadership for mid-career professionals. He also served as adjunct faculty in the Public Policy, Planning and Management department, guiding graduate students through an applied interdisciplinary program covering climate resilience and environmental justice. Previously, Jake has worked in international settings in higher education, mentoring and training students in aspects of sustainability ranging from cross-cultural communication to organizational transformation. His Ph.D. research examined interdisciplinary and collaborative models of sustainability and a new triple bottom line of resilience, integrity, and commitment. His sustainability career began in ecovillages and grassroots centers of innovation. He is now a leader in city-scale sustainability initiatives and cultivating cross-sector platforms for professionals who wish to accelerate and incubate projects that address our most significant community sustainability challenges. Sophia is a Program Manager primarily supporting K-College education initiatives at Strategic Energy Innovations. Sophia manages statewide high school programs designed to engage and empower sustainability leadership. Sophia has led curriculum development focused in technical topics such as sustainability engineering, renewable energy, and energy efficiency. Sophia has managed programs from energy conservation competitions to paid internship programs for college students. She leads program assessment, tracking, and reporting. 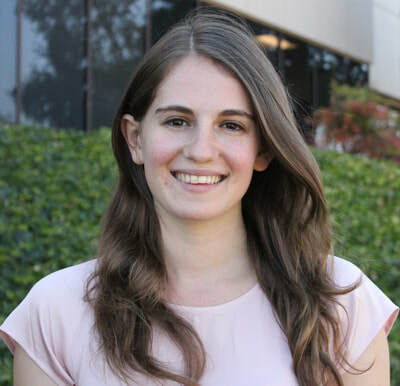 Before joining SEI, Sophia worked with school districts throughout the Bay Area on energy benchmarking and solar design. Sophia holds a Bachelor’s Degree in Physics with a minor in Energy and Resources from the University of California, Berkeley. Liz manages SEI’s Southern California workforce education and training programs from her base in San Diego. She is a technical education specialist, working on the Energize Schools, Energize Colleges, and Climate Corps programs to support students, teachers, faculty, interns, and Fellows to create leaders in the new green energy workforce. Prior to joining SEI, Liz worked for environmental consulting, remediation and engineering design firms. 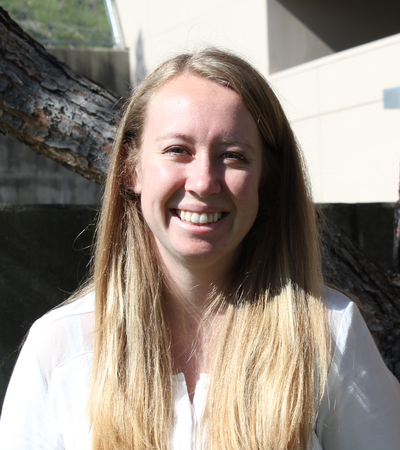 In her previous position, Liz was as an environmental engineer at Good Earthkeeping Organization where she focused on initial project design and reporting for gas thermal remediation projects internationally. Liz then traveled in Southeast Asia and spent time volunteering with Save Elephant Foundation in Thailand where she taught local children about sustainable practices and truly realized her passion for environmental education. Liz received a Bachelor’s of Science degree in Environmental Engineering from the University of Connecticut and is a registered Engineer in Training (EIT). Hope supports K-College educational programming and workforce development programs at SEI. She serves as a Climate Corps Regional Supervisor, supports the statewide Energize Colleges Program as a Regional Campus Manager, and manages the Bay Area Air Quality Management (BAAQMD) project at SEI. 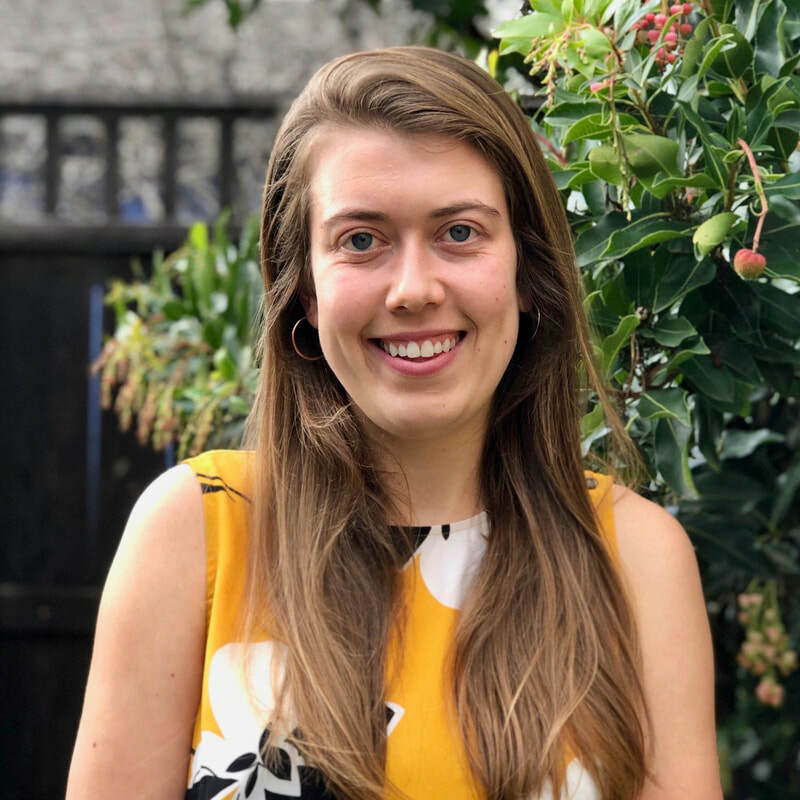 Prior to joining SEI, Hope acted as a Climate Change and Legislative Intern for the Vermont Agency of Transportation, conducting research on solar siting, climate change adaptation in the transportation sector, and regional energy transformation. Previously, Hope worked for the University of Vermont’s Office of Sustainability facilitating leadership seminars for students, educating the university community about environmental stewardship, and tracking sustainability performance. While abroad in Costa Rica, she developed curriculum and taught sustainability practices and water conservation methods to children in primary schools. Hope holds a Bachelor of Science in Environmental Studies with a concentration in policy, conservation, and sustainability from the University of Vermont. 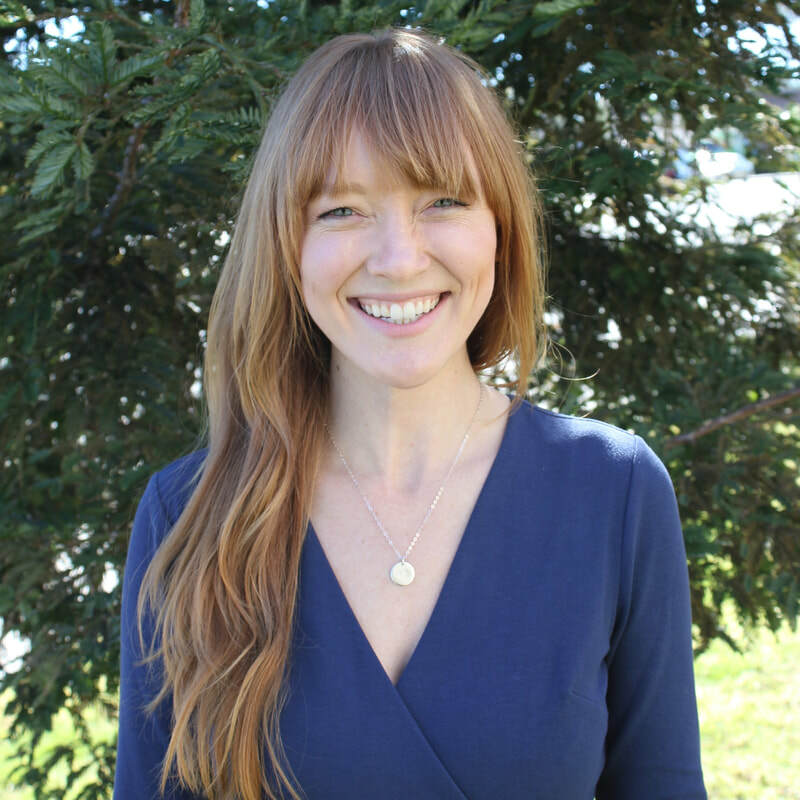 Katie leads SEI’s communications and marketing efforts, supporting program teams working on a variety of environmental education and sustainability capacity-building projects. Prior to joining SEI, Katie worked in marketing and advertising in California, New York City, and Seattle. 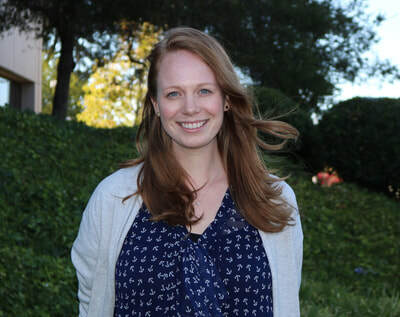 Katie holds a Masters of the Environment degree in Sustainability Planning & Management from the University of Colorado, Boulder, and a Bachelor of Arts in Communications and Anthropology from University of California, Santa Barbara. Dru primarily supports the K-college education programs and Zero Waste Marin at SEI. ​Before joining SEI, Dru coordinated sustainability programs at Bishop O’Dowd High School in Oakland, where she taught a course on environmental leadership and worked to integrate sustainability into the school’s curriculum, culture, and physical campus. 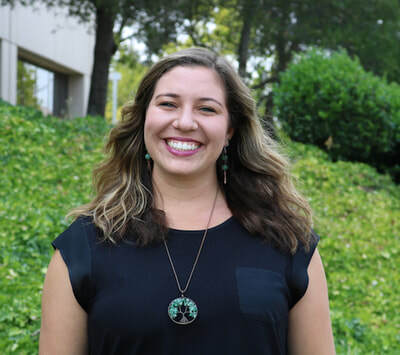 Previously, Dru supported the communications teams at environmental policy nonprofits Earthjustice and California Climate and Agriculture Network, and she has also coordinated environmental education programs in summer camp and after-school settings. She has Bachelor’s degrees in Philosophy and Environmental Studies from Wesleyan University. Petrut assists with the K-12 sustainability education efforts at SEI and provides support for the Climate Corps program. He has a strong interest in education and is passionate about integrated solutions to climate change induced challenges. 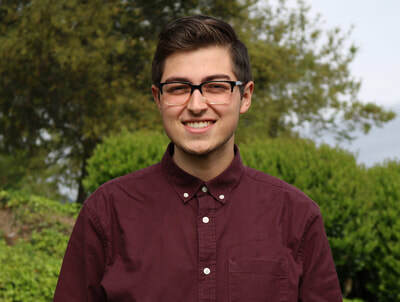 Prior to joining SEI, Petrut was a Teach for America corps member in Oakland, during which time he taught middle school technology and engineering classes at Education for Change Public Schools. Together with his students, he extensively used design thinking and project-based learning tools to engage with topics such as computer assisted design and modeling, automation and robotics, and basics of green architecture. Petrut has a Bachelor of Science in Political Science from Arizona State University and a Master of Science in Resource Efficiency in Architecture and Planning from HafenCity Universität Hamburg, Germany. Alyssa supports SEI’s education programs, including Energize Colleges and Energize Schools, and serves as a Regional Supervisor for the Climate Corps program. 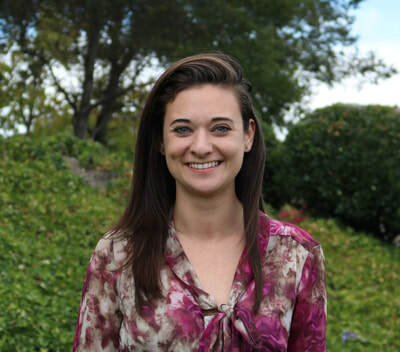 Prior to joining SEI, Alyssa worked at the City of Phoenix Public Works Department where she wrote grants, taught K-12 classes, and managed communications to residents concerning the City’s zero waste initiatives and goals. In addition, Alyssa served as an AmeriCorps VISTA member with the City of Phoenix and implemented a mayor’s initiative mini-grant program to improve the connectivity and sustainability of low income communities throughout Phoenix. Alyssa holds a Bachelor of Arts in Environmental Studies with a minor in Theater from Skidmore College in upstate New York. Hernán oversees SEI’s communications, supports the Climate Corps program, and supports K-12 educational programming in the Los Angeles area. Prior to joining SEI, Hernán developed a background in environmental justice and water conservation through his positions at the Robert Redford Conservancy, the California Department of Toxic Substances Control and the Long Beach Water Department. Through his position at a water department, Hernán supported California’s largest lawn conversion program to promote water conservation and sustainability in Southern California. Previously, Hernán served at the California Department of Toxic Substances Control’s Office of Environmental Justice and Tribal Affairs where he worked on educational and workforce development programming geared toward communities impacted by lead pollution in Southeast Los Angeles. 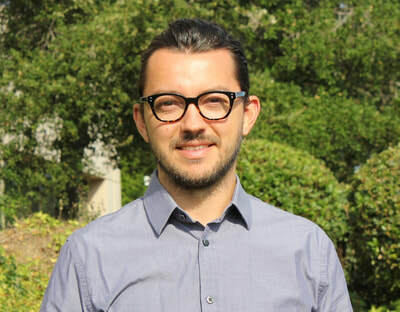 Hernán has a Bachelor of Arts degree in Environmental Policy with a focus on environmental justice and a minor in French from Pitzer College. Naomi supports K-12 education programs at SEI, focusing on the Marin School of Environmental Leadership. Naomi comes to SEI having recently finished her Bachelor of Arts at Harvard, where she studied Chemical and Physical Biology with a secondary field in Energy and Environment. Her laboratory research focused on artificial photosynthesis and the chemistry of renewable energy technology. Her research has since been published by the American Chemical Society in the journal Organometallics (2018). 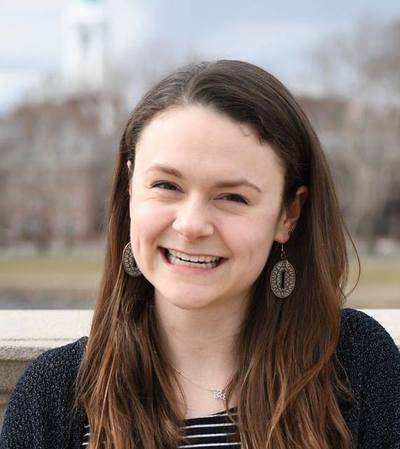 While completing her undergraduate, Naomi worked for three years for the Harvard Office for Sustainability, captaining the undergraduate Resource Efficiency Program. She also worked as a course assistant for Harvard’s math department, teaching 1st year calculus. Naomi is thrilled to be involved in both the education and sustainability fields as a member of the SEI team. Jessica supports K-12 educational programming at SEI, including Energize Schools and Zero Waste Marin. 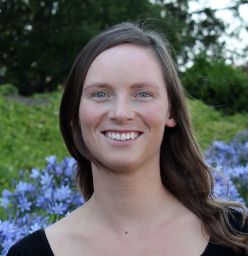 Prior to joining SEI, Jessica interned at the City of Berkeley Zero Waste Division. There she implemented composing and recycling systems in city facilities, conducted zero waste staff trainings, and developed employee zero waste guides and resources. She is ecstatic to join the SEI team and continue to pursue her passion for sustainability education. Jessica recently received a Bachelor’s Degree in Environmental Sciences from the University of California, Berkeley. Lauren supports K-12 educational programming at SEI, including Energize Schools and Zero Waste Marin. Recently relocated from Boston, Lauren brings a background in energy technology and education from her internship experiences at the Massachusetts Clean Energy Center, MIT’s Energy Initiative, and EnerNOC, Inc., an Enel Group company. In her roles, she worked on a number of projects including Massachusetts’ solar rebate program, organizing the Discover Energy Pre-Orientation program for MIT freshmen, and processing incoming orders for Demand Response programs and Energy Intelligence software. She’s very excited to continue to learn and grow in her new role at SEI! Lauren recently received a Bachelor’s Degree in Environmental Science with a minor in Law and Public Policy from Northeastern University. Emily supports SEI’s K-12 educational programming in San Diego, including Energize Schools and Energize Colleges. 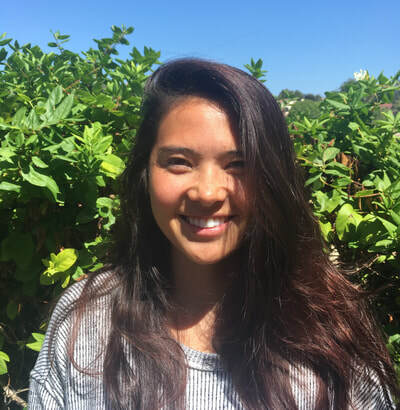 Emily comes to SEI with a background in environmental education through her internship roles at ECOLIFE Conservation and San Diego Oceans Foundation as well as her experience as a surf instructor in Del Mar, Ca. She recently completed a one-year term with the AmeriCorps Promise Fellow program in Minnesota where she mentored and taught 6th grade students. There she gained a strong appreciation for the non-profit sector and witnessed firsthand the importance of our planet’s youth. Emily received a Bachelor's Degree in Conservation and Resource Studies with a minor in Forestry from UC Berkeley. Robbie supports SEI’s K-12 educational programming as well as the Climate Corps program. He plays a key role in supporting the Education Outside garden education program. Robbie comes to SEI with a background in environmental education, climate action, and public environmental outreach through past positions with the City of Boston Environment Department and UC Office of the President Sustainability Team. Previously, Robbie was part of the City of Boston’s Greenovate Boston team, where he worked to advance Boston’s Climate Action Plan, promote climate resilience across the city, and engage with folks on sustainability issues. of Sustainability with a focus on education, outreach, and public engagement for sustainability.